Adolescents equate swearing to a rite of passage. As moms and dads, we can help them learn healthier ways of expressing and developing maturity. The first step to cleaning up adolescent talk is listening to your adolescent. When you ascertain in what scenarios and environments he typically swears, you can help him find alternatives to express himself. Does your son try to project confidence or superiority when he swears? Does he demonstrate anguish, disgust or disdain in himself or peers with cursing? Do you hear your son causally and subconsciously dropping profanities intermittently throughout casual conversations? Knowing the prime times your son swears will help you choose a course of action to clean up the cursing. Many parents, like the mother described above, find explaining that swearing is not an impressive trait or something that is respected and admired provides clarity. 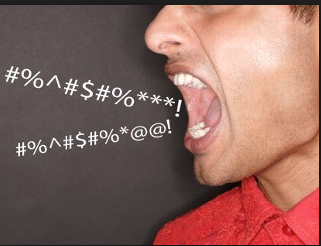 When adolescents realize that vulgarity or excessive slang has an affect that is ironically opposite than their desired perception of maturity, they are less inclined to taint their vocabulary with swearing. Helping your adolescent find an intelligent means to express himself, and thus demonstrate true maturity, will both curb swearing and help him achieve his desired goal. Also, moms and dads need to model the language they expect their adolescents to use. Reinforcing positive expressions of various emotions lets adolescents know there’s another way to get the same thing. Of course, we’re all human and can possibly accidentally or occasionally let a slang word slip. The frustration of stalled traffic or of dropping a heavy can on top of your foot can cause the most restrained person to use an inappropriate word. Acknowledging that you’re aware you made a regrettable word choice helps your adolescent respect the lessons you’re aiming to instill. Demonstrating your remorse for using a curse word offers your adolescent a glimpse into your humanistic persona. Additionally, helping your adolescent realize there are consequences to all of his actions – including swearing – provides another deterrent. If your adolescent has to pay a predetermined ‘fee’ or ‘toll’ for every profanity used, he may think twice about spending his hard earned allowance on curse words. A curse word cookie jar worked miraculously for one mother’s son: “After a few weeks of paying for his language, he decided to give up swearing. It was just too expensive,” the mother happily proclaimed. Moms of adolescents may be troubled by the amount of fighting, both verbal and physical, that goes on between her kids. This is a common problem in homes with teens, and one many moms find particularly difficult and upsetting. One mother said, "They are constantly bickering and yelling. There's no peace in the house anymore. They won't listen to me, and nothing I do seems to have any effect on them. Why do they hate each other so?" If parents experience these kinds of problems and concerns, it may help if they try to gain a better understanding of sibling battles and then develop a plan for dealing with them in their home. In this society, people have the expectation that they will love and get along well with everyone in their family. They always expect to feel positive toward their parents, brothers, sisters, spouses and children. Most people, however, have at least some times when they don't feel very loving toward each other. Relationships within a family are close, both emotionally and physically, and very intense. When the television show parents have been looking forward to is being drowned out by the cheerleading practice in the basement, or when the turkey leg they were saving for a snack is missing from the refrigerator, or when their spouse is gleefully telling a crowd of friends how they dented the car fender, they are not likely to feel loving. Because they are so close, family members have a greater power than anyone else to make other members feel angry, sad, confused -- and loving. This is just as true for kids and teens as it is for grown-ups. Most siblings have probably been good friends - and good enemies - as they have grown. Having a sibling provides an opportunity to learn to get along with others. Especially when siblings are younger, they may fight bitterly, but they will probably be playing together again an hour later. For example, a youngster will say something hateful to a sibling, knowing full well they will still be siblings and friends when the fight is over. If the same thing was said to a playmate outside the family, that playmate might take his or her marbles and go home for good. Thus, kids learn from relationships with siblings just how certain words or actions will affect another person without the fear of losing the person's friendship. They fight because they are growing up in a competitive society that teaches them that to win is to be better: "I saw it first." "I beat you to the water." They fight because they are jealous: "He got a new bike. I didn't. They must love him more than they love me." They fight because they want a parent's attention, and the parent has only so much time, attention and patience to give. They fight over ordinary teasing, which is a way of testing the effects of behavior and words on another person: "He called me a _____" … "But she called me a _____ first." Kids need not weeks or months, but years to learn some of the socially approved ways to behave in relationships. Lessons about jealousy, competition, sharing and kindness are difficult to learn, and, indeed, some grown-ups still haven't learned them. Teens fight for the same reasons younger kids fight. But teens are bigger, louder and better equipped physically and intellectually to hurt - and be hurt - by words and actions. From a mother's point of view, they "ought" to be old enough to stop that kind of behavior. What moms may forget is that teens are under pressure from many different directions. Physical and emotional changes - and changes in thinking - cause pressures, as do changing relationships with parents and peers. Adolescents may be concerned about real or imagined problems. They feel pressure about the future as adults and about learning to be an adult. In many ways, adolescents are in greater need than ever for parental love, attention and concern, and for a belief that they are as good as their siblings. A teenager may not recognize these needs, or may be too embarrassed to express them verbally, so fighting with siblings as a way to get parental attention may actually increase in adolescence. In truth, siblings don't really hate each other, at least not all the time. As kids mature and learn to control their energies and anxieties, chances are they will be good friends. Moms and dads can recognize the reasons for the fighting and make up their minds that they will not tolerate it. It's not easy to stick to that resolution! However, many parents have found that sticking to that resolution is the most important factor in bringing peace to their home. Parents should tell their teens that while it's normal to have disagreements, the constant fighting upsets them and they value peace at home. They can say they will no longer be the judge and jury over the siblings' disputes, and they will not stand for it! Then, they must stand by the resolution. One mom reported that every time a fight started, she would say to her teens, "You're fighting. I'm leaving." And then she would go out to work in the yard or take a drive or run an errand -- but she simply walked away from the fighting. Another mom used a similar tactic. When the fighting began, she said, "Call me when it's over." Then she went to her bedroom, slamming the door to emphasize her point. Another parent made his teenagers leave the house when they began fighting. In each of these cases, the parents demonstrated that fighting would not get their attention and they would not get involved in the fight. Other parents have had success in imposing penalties for fighting (e.g., fines deducted from allowances, a certain amount of grounding for each fighter, etc.). These parents are showing their teenagers the cost of fighting is higher than the reward. Whatever tactic moms and dads use, if they are consistent and stick to their guns, they will almost certainly be successful in reducing the amount of fighting between their kids. Living with fighting siblings is not pleasant. If parents can remain calm in the face of battling adolescents, if they can retain their sense of humor, and if they put up a determined and united front, they will find the war in their living room will end before long. Avoid initiating competition among your kids? Make sure older kids are not usually forced to give in to younger ones because "he's little" or "she doesn't know better?" Believe there can be something good in sibling fighting? Make sure your teens realize they are each unique and have a special set of strengths? Praise your teenagers for being who they are, not just for what they can do? Realize teens and younger kids need to be given the right to decide not to share at least some of the time? Recognize that each youngster is different? Set aside some time to be alone with each youngster? Talk to your teens about their fighting? Be available to listen patiently to the problem and control your emotions. Typically, parents have more insight into solving a problem, so give your child positive suggestions she can use to work the problem out with her sibling. Don't intervene, but do give some guidance. Don't take sides -- remain neutral. Encourage adolescents to work out issues constructively. Do not allow aggressive behavior (e.g., hitting, pushing, etc.). Express to each of your kids that you care for each of them as individuals and love them unconditionally. Give them the opportunity to work out their problems on their own. Help enforce the rules by outlining consequences when rules are broken. Help them recognize each other's individuality. Insist that they try to cooperate first. Overcome your own competitive nature. Share an interest in their activities. Spend time with them individually. Teach your kids good communication techniques, problem solving skills, and the importance of compromise. 1. Often times, your best resource is silence (it really is golden in cases such as this). Strong-willed teens do not listen to reason. They can't (and even if they could, they wouldn't). When your teen tries to push your buttons – shut your mouth and go about your business. 2. Avoid picking up strong-willed traits. If you aren't careful, you could find yourself adopting much of your out-of-control teen’s behavior, even if you aren't voluntarily trying. 3. Detach from the situation as much as possible. Staying calm in the heat of the moment is paramount to your personal preservation. Spitting angry words and reacting with extreme emotions (screaming, crying, etc.) will only influence your teen to be even more stubborn and defiant. 4. Don’t “call out” your stubborn teen. Bluntly stating the problem will not improve your relationship with him or her. Instead of reaching a reconciliation, your teen will likely just become more oppositional. Recognize that you can't handle this like you would any other personal conflict – it's a unique circumstance. 5. For the parent who has another adult in the house (e.g., spouse, partner, other family member), avoid getting cornered. When possible, avoid one-on-one arguments with your strong-willed teen. In other words, when he is pissed and you see him coming to corner you, demand that another adult (or adults) be brought in. This will sometimes thwart your teen’s plans to berate you. Bullies rarely stand up to a crowd. 6. When tempers flare, forget about trying to engage your strong-willed teen in any kind of reasonable conversation. It will never happen, at least not with you. Remember what happened in the course of the last 100 times you tried to have a civilized discussion about the status of your relationship with your teen. Chances are, every such attempt ended in you being blamed for everything. Decide now to quit banging your head against a brick wall. 7. Always remember that anything you say or do while angry will be used against you – over and over again. Strong-willed teens tend to have amazing memories, and they will not hesitate to use a nearly endless laundry list of complaints from the past against you. A year from now, you could be hearing about the angry response you had today. Strong-willed, out-of-control teens will seize anything that provides them the opportunity to lay blame like it was gold. 8. If your teen’s verbal attacks have little basis in raw fact, try to simply dismiss them. You can't possibly be as bad as she would like you to believe you are. However, don’t defend yourself out loud. It will only provoke her into another outburst and increase her manipulative behavior. 9. If your teenager is getting on your last nerve, take a time-out. Remember, he just wants to get a rise out of you. So show your teen that he has no effect. Count to 10 silently if you need to, and then state your views with confidence. Look your teen in the eye. If he is still being unreasonable and stubborn, then just ignore him. He will eventually back down when he notices that his attempts at “button-pushing” are failing. 10. Sometimes the healthiest way to deal with a strong-willed teen is to remove her from your environment. Do not torture yourself by exposing yourself to verbal abuse. Simply leave the room. Remember that you can’t "fix" this teenager. Remove yourself from the situation and treat it with indifference when possible. 11. Prepare for the fact that your teen will probably blame YOU for being “strong-willed.” You are going to be accused of much – or all – of this behavior yourself. If your teen gets a look at this article, to him it will look like an article about you. Prepare yourself for the fact that your teen’s flaws and failings will always be attributed to you. 12. Prepare to set some serious boundaries. Understand that eventually, you may have to create a separation between yourself and your strong-willed teen. Maintaining a relationship with a chronically abusive teenager is, literally, impossible. When enough is enough, he may just have to go live with his dad, or get a job and find an apartment (if he is older). 13. Protect your self-esteem. If you have regular dealings with a teenager who tries to portray you as the source of all evil, you need to take active steps to maintain a positive self-esteem. Focus on the people who validate you. Also, realize that your strong-willed teen is hurting you on purpose to improve her own self-esteem. 14. Recognize that you will never convince your strong-willed teen that he has any responsibility for the parent-child conflict between the two of you. He doesn’t recognize (or if he did, wouldn't try to improve) his flaws for a very logical reason: He doesn't have any flaws (in his mind)! Understand and manage this mindset without casting blame and without giving in to anger. It's far easier said than done, and you will slip from time to time. But as time goes on, you'll get better at coping with this teen’s behavioral issues. 15. Avoid getting defensive. Understand that you can’t “beat” a strong-willed, out-of-control teenager. She is called “strong-willed” for a reason. In her mind, you are the source of all wrongdoing, and nothing you can do or say is going to make her consider your side of the story. Your opinion is of no consequence, because you are already guilty – no matter what! 16. Understand that it's not you – it's your teen. If you accept responsibility for your own faults and resolve to improve yourself, it's probably not you. This mindset can be surprisingly difficult, considering that the strong-willed teen has complete mastery of shifting the blame. Remember, strong-willed teens "can do no wrong." Chances are, the more often your teen blames you, the more he himself is actually at fault. However, keep in mind that this should NOT to be used as a way to blame your teen. Blaming is what strong-willed teens do – and they do it well. Instead, you are only facing the facts (for your own sake). Raising strong-willed, out-of-control teens is tricky business. It’s important for them to have enough freedom to make their own mistakes, but they still need plenty of guidance to help them learn from those mistakes. Provide your oppositional teen with clear and consistent boundaries that will focus on teaching peace and levelheadedness – not resentment and retaliation. Lead by example! From the office of Mark Hutten, M.A. The problem is that most parents of strong-willed, out of control teenagers have tried very hard to regain control -- but with little or no success. And it seems the harder the parent tries, the more the teenager "acts-out." I often hear the following statement from parents: "I've tried everything with this child -- and nothing works!" But when they attend my parent-program, they soon discover they have not tried everything, rather they have tried some things. Learn more about the parent-program. Now there is an online version of the parent-program for working parents who are struggling with their out-of-control teenagers, and you will experience the same success as those who attend the program in person. You will learn cut-to-the-chase parenting strategies that work immediately rather than months or years down the road. And I guarantee your success or you get your money back -- and you can keep the package I am about to offer you. This is how confident I am that the online version of the parent-program is going to work for you. The online version is called Online Parent Support (OPS). CLICK HERE to learn more about OPS. OPS includes My Out-Of-Control Teen eBook (a digital book). In this book, I share over 150 proven techniques to use with your strong-willed, out-of-control teenager. If parents don’t have these techniques, all they are left with are conventional parenting techniques. And as they may have discovered, conventional techniques don't work with unconventional teenagers. Learn more about traditional parenting strategies. Learn more about defiant behavior versus normal teenage rebellion. CLICK HERE to view a partial list of topics covered in the eBook. Believe it or not, your child doesn't need counseling. You don’t need parenting classes. You don’t need -- nor would you want -- a 250-page manual on how to be a better parent. Who has time for that? And you don’t need to go through another year of pain and misery with rebellious, foul-mouthed teenagers with an "attitude." However, what you may need is someone who has worked with troubled teens and frustrated parents for nearly 20 years -- and does so for a living -- to show you a set of very effective parenting techniques that are guaranteed to work. That would be me, Mark Hutten, M.A. Whether you have big problems or small problems, teens or preteens, whether you are a single parent, divorced or separated parent, adoptive parent, foster parent, step parent, a traditional two-parent family, or a grandparent raising a grandchild -- this material is guaranteed to work for you. A few short weeks after they complete the program (which is divided into 4 sessions, 90 minutes each session), the majority of parents report that problems in their homes have reduced in frequency and severity and are finally manageable. You’ll be pleasantly surprised at how simple it is to get started with these non-traditional parenting strategies. Whenever you have a couple spare moments sitting at your computer, you can see how to bring about positive change in your household …change that will reduce parent-child conflict …change that will reduce your stress-level significantly …and change that will increase the likelihood that your child will be a success both at school and in life. => Is your child in charge (the tail is wagging the dog)? => Does she/he have an "attitude" 24 hours a day, 7 days a week? => Is she/he resentful about something that happened in the past and just can’t seem to get over it? Hanging with the wrong crowd? Experimenting with drugs or alcohol? Refused to follow any rules? to keep even in the unlikely event you decide to ask for a refund. prompt and courteous refund ... no questions asked! Feel free to contact me. 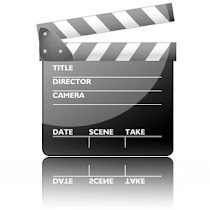 You'll get no "sales pitch" -- just answers to any questions you may have. 1. What is your toughest parenting challenge currently? 2. What other problems are you experiencing with your child right now? 3. Do you have any questions about OPS or My Out-Of-Control Teen eBook? "I just have to let you know that I just started reading your book...I am in tears as I am reading. It is like you have been hanging out in our home, watching us. We are on our 4th therapist in a 3 year period and not one of them have seemed to have a grasp on what we are dealing with, but your first few chapters have summed us up almost immediately. I had to stop and say thank you." -- M.J.
"I had problems with my 15-year-old daughter last year and found your online course. I can’t even begin to tell you how helpful it was in turning my daughter around. I followed it up with a trip to Uganda – just the 2 of us – for 15 days last summer, which forced us to bond. It’s been a great year this year and I want to thank you for your huge part in that. No more sleepless nights. Your website gets lots of referrals from me! I think your method utilizing online courses and support groups is brilliant. Warm regards." -- M.H. "Thank you for your concern for others. My husband and I were at the end of our ropes. I prayed for wisdom and God certainly answered my prayer. I have already tried some things on the first week actually the day I ordered this and to my amazement - they worked!! I had already been thinking the turmoil was like a drug for my daughter and I was right. Thank you so much and God Bless you!" – E.H.
"Tara and I joined your website for our 16 year old quite a few months back. Let me say this after having gone through many different programs for difficult teenagers, your program is very solid. We have told our current counselors and connections about it so that other parents may use your very good resources, too. Our son is to the point now where he no longer argues." – T.M. No, I’m not a miracle worker. But you don’t need a miracle! All you need is this simple set of proven parenting techniques to use with your oppositional, defiant child. I'm not offering a complete cure for ALL behavior problems, and I'm not trying to claim that every single thing that you'll ever need to help your child is in my eBook. But if you are looking for rock solid and proven solutions to a whole bunch of parenting-predicaments that you have with your out-of-control child, then I'm confident that you can benefit from my help. For many years now I've been running a very successful parent program, but I wanted to take it a step further. I wanted to reach out to parents worldwide and help them discover that there really is light at the end of the tunnel. That’s when I came up with Online Parent Support (OPS). Since its launch in 2004, OPS has overwhelmed users and success rates have been phenomenal. 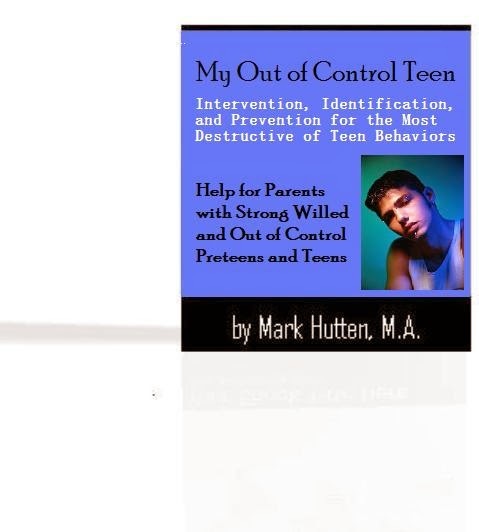 If you're one of those parents who has paid a fortune on must-have parenting eBooks only to find they were full of useless information you could have gotten anywhere, then don’t make the mistake of clicking off this site before you at least call or email me with some specific questions about My Out-of-Control Teen eBook. I guarantee you won't find this information anywhere else. You could (and may) spend the rest of the afternoon surfing and "researching" only to find that you've gained a wonderful knowledge of what the problem is without any knowledge of what to do about it. Let’s face it: You have been force-fed garbage and misinformation that will never put your teen back on the right track. All you have really been doing is building-up even more barriers and creating more stress – for you and your family. I'm tired of reading all the bad advice out there …I’m tired of seeing teenagers' lives ruined because they just can’t be controlled …and I’m tired of seeing parents chase their tails in a hopeless cycle of frustration, drama and chaos. 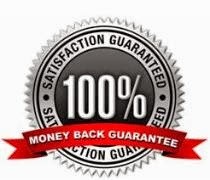 If you don’t begin to experience success with these strategies within the first week, then I want you to email me – mbhutten@gmail.com – and say, “I want a refund.” With one click of my mouse, I will send your refund-request to PayPal (the secure network that sells my eBook), and they will promptly refund 100% of your purchase. $29 is really a painless drop in the bucket compared to the money you could lose over time with counseling, parent-education classes, psychiatric evaluations, treatment, etc. Yes, for the price of dinner at a local restaurant, you will have all the information you need to jump full force into getting peace and respect back in your house again. If you need to justify the expense, skip taking the kids to McDonald's for dinner once this week - and it's paid for. If you’re going through the same parent-child conflict that most of the other parents who land on this site are going through, then the problems at home and school are not getting better -- they’re steadily getting worse. How much longer are you willing to wait? I'm guessing that you have already wasted too much time and energy trying to get some real solutions. I trust that you’ll take a step of faith here and get started with this on-line program immediately. so there's absolutely NO WAY that you can lose! If you are uncomfortable purchasing items online, you may write a check here. #1 Best Selling Parenting eBook for "Defiant" Teens. download time is only about 5 - 30 seconds. available to OPS members upon request. Delivered in 3 - 7 days. About the author: Mark Hutten, M.A. is the founder of Online Parent Support, a practicing counseling psychologist, and a parent coach with more than twenty years’ experience. He has worked with hundreds of children and teens with behavioral problems over the years. He presents workshops and runs training courses for parents and professionals who deal with troubled children and teens, and is a prolific author of articles and ebooks on the subject. About Online Parent Support: Online Parent Support was the first “online program” for parents with defiant children and teens, and has been helping parents like you since 2003. Dozens of parents join Online Parent Support every day. YOU can be next! You can start your program in 15 min. from now, and you WILL see positive changes in your child’s behavior within the first week -- or your money back! Has your son or daughter been "out-of-control" for several months - if not years? If so, then alarm bells should be going off. You know changes need to happen! Mark was born in Freemont, Ohio in 1956. He graduated from Anderson High School (Anderson, IN) in 1974. Mark has worked in the “addictions” field since 1994 and has worked with children who are experiencing emotional and behavioral problems - and their parents - since 1988. He was a Probation Officer as well as a Family Therapist and performs home-based counseling/supervision for families experiencing difficulty with their children's emotional and behavioral problems. His primary mission is to help these families develop much needed coping skills so that they can avoid involving their children in the Juvenile Justice system. Mark is the creator of the Parent-Support Group (a parents only group for parents with strong-willed, out of control children). He is the author of My Out-of-Control Teen and My Out-of-Control Child eBooks, and the founder of Online Parent Support (the online version of the Parent Support Group). Many of Mark's articles and columns related to parenting children with ADHD, ODD, Conduct Disorder, Bipolar Disorder, Asperger’s Syndrome, Autism, Reactive Attachment Disorder, and more, are featured on prominent "online" magazines (ezines) and websites. it all! Thank you!" - D.G. the parent-teacher conference.” - T.S. this course years ago.” - T.P. help. Thanks for being there." - J.D. thank you for your help!" - A.H.
stress level would be through the roof." are not perfect -- it's a lot better than it was! these techniques earlier." - L.D. for all your help." - G.B. just wanted to avoid the hassle of a conflict. unhappy. I thought "unhappy children"
concept alone is helping me immensely." and both parents are starting to settle well. We are getting into a routine, and now "no"
get older, new things are going to appear. time to accommodate parents like me." take. In other words, you are a genius! I am deeply grateful.” - R.B. getting such extreme value for our money. this resource. Kindest regards." - S.T. to your program." - T.E. me swear he knew my child personally. my son and to understand his behaviour. like you had written it all for my son and I.
year old out of control teenager!" - T.W. like I have tools to work with her now. Thanks a $$$million and God Bless You!" all the help!" - F.D. calming feeling that we are going to be o.k. on my daughter's face." - W.A. and nowhere near what he is capable of). parent disconnected with it." - E.B. is brilliant. Warm regards." - M.H. program is for just out-of-control teens. like this when my children were young. attend a seminar, but live too far from you. It would be great to have one in my area." as God our Father has intended it to be. being positive, kind and respectful to me. to let one of our son's bad behaviors slide. brother and sister if he stayed in our home. medication and he continued to improve. 1. What types of behavior problems are covered in the program? · Annoying siblings, classmates, etc. 2. Do you have any outcome measures regarding the success rate of your program? Mark: “We do track outcomes for the Parent Support Group (i.e., the live seminars), which if the offline version of OPS. The material presented during these seminars is exactly the same as the material presented online. The only difference is that individuals who attend the live seminar see me face-to-face and ask questions directly, whereas members of OPS see me in a series of Online Instructional Videos and ask questions via email. 3. Will this program work as effectively for an African American family, for example, as it does a Caucasian family? In other words, is race an issue at all? Mark: “There has been a great deal written about the effects of class, race, and ethnicity on parenting styles. Many of these studies have portrayed the parents in “non-dominant” groups and those with low socioeconomic status as deficient in parenting. The negative portrayal of parents who are members of non-dominant groups has occurred to a large extent because White, middle-class European American parenting styles have been used as the standard against which parenting styles are measured. Parenting styles that are viewed as less than optimal in one cultural context may be necessary to cope with the realities of another cultural context. 4. Can grandparents use the program? 5. What is the difference between conventional versus unconventional parenting techniques? Mark: “Unconventional parenting strategies are simply those approaches to parenting that moms and dads do not typically think to use. We have to be creative when parenting strong-willed, out-of-control children and adolescents. In some cases, you will be instructed to do the last thing you would ever think to do first. 6. Can teachers, social workers, and other therapists use the information in the OPS program? 7. Will this program meet the requirements for court-ordered parenting classes? 8. Why an E-book rather than a regular book? 9. Is there a recurring monthly charge, and is there a time limit regarding how long parents can access the material? 10. Why only $29.00? The other programs out there are so much more expensive. 11. Can this program work for me if I’m divorced and my son’s father lets him get away with everything while at his home? Mark: "Yes (you're referring to the Disneyland Dads). But I have to say, neither you nor your ex can control your child. Neither one of you can make your child spit, stand on his head, walk a straight line, or any other behavior for that matter. Thus, you will learn how to (a) stop trying to 'control' behavior, and instead (b) start 'influencing' her/him to make better choices. As a result, your child will take your 'influence' with him/her (so to speak), even when he/she goes over to dad's house." 12. How long will it take to see a positive change in my child's behavior? Mark: "You should notice positive changes in your child – and in yourself – the very first day you use OPS parenting strategies. As you begin to implement the techniques outlined in the program, you will see even more significant, long lasting changes in your child’s behavior and attitude. Parenting your child will become easier -- and more enjoyable." Bear in mind that if your child is, say, 13-years-old -- it has taken 13 years for the problems to get to this point. So it will take at least a few weeks to get the problems turned around. Most parents (90% plus) see permanent changes in their child's behavior within 4 weeks. 13. My child has a diagnosis (e.g., ADD, ADHD, ODD, Bipolar Disorder, Aspergers Syndrome, Reactive Attachment Disorder, etc.). Will it work for him? 14. Is there anyone who shouldn’t use the program? 15. What is the age range for this program? 16. What if the program doesn’t work for me? Mark: “Then we will refund 100% of your purchase price ($29.00). the few remaining problems are easily managed by the parent. 17. Can I order this program even though I live in Australia? Mark: "Yes. The program is all online - so your geographical location is not an issue. Nearly 70% of OPS members are from outside the United States." Many families of defiant teens live in a home that has become a battleground. In the beginning, the daily struggles can be expected. After all, we knew that problems would occur because teens are naturally rebellious, to a degree. Initially, stress can be so subtle that we lose sight of a war, which others do not realize is occurring. We honestly believe that we can work through the problems. Outbursts, rages, and strife become a way of life (an emotionally unhealthy way of life). We set aside our own needs and focus on the needs of our teenager. But what does it cost us? The majority of the population does not understand the dynamics of parenting a defiant child. Family and friends may think that you -- the parent -- are the one with the problem. Parents of defiant teens are frequently turned in on false abuse allegations. Support is non-existent, because outsiders can't even begin to imagine that children can be so destructive. Where does that leave a parent? Without strong support and understanding, the parent will become isolated, demoralized, hurt, confused, and often held accountable for the actions of her/his teenager. Families are simply not prepared for the profound anger that lives in the heart and soul of the defiant teen -- he/she sees YOU, the parent, as the enemy. Small expectations on the parent's part can set the defiant teen off in ways that are not only indescribable, but also often unbelievable. Your home becomes a war-zone and you feel totally inadequate. You begin to question your parenting abilities -- and your own sanity. Your heart's desire is to provide your child with untold opportunities, a future, and all the love in the world. You want to soothe your troubled teen. You want him/her to have a fulfilling life and to grow up to be a responsible adult. Yet, you are met with hatred and fierce anger. In war, the battle lines are drawn; an antagonism exists between two enemies. In our homes, we are not drawing battle lines; we are not prepared for war. We are prepared for parenting. Consequently, the ongoing stress can result in disastrous effects on our well-being, literally causing our emotional and physical health to deteriorate. In parenting a defiant teenager, you will not escape adverse effects. It is essential to recognize that your feelings are typical under stressful conditions. It is just as essential to accept the fact that extensive stress is unhealthy. By recognizing the symptoms and seeking support, you will strengthen your abilities to cope. The strains a defiant teen puts on your family can be enormous. A defiant teen will play one parent off the other, which could result in a rift between parents. Dreams of the perfect, loving, caring family are squashed. There is no such thing as perfect family, but a family with a defiant child can become quite dysfunctional. Due to the child’s disruptive behavior, parents often withdraw from social functions. 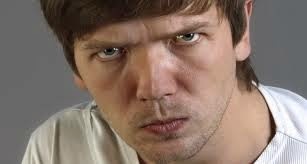 Family events, like Christmas, can be filled with anger and frustration. Parents appear to be unfair, strict and sometimes hostile, as parenting skills used with healthy children do not work with defiant children. Siblings and pets can often be targeted and threatened. Siblings often feel ignored or overlooked as the defiant child takes up so much of the parent’s time. Defiant teens are not bad -- but they are very intense. And they seek intensity from others as well -- especially their parents! Unfortunately, they have discovered that their parents are the most intense and exciting when things are going wrong. What parents may have viewed as punishment for their defiant child was actually a reward (i.e., he/she received a bigger payoff for misbehavior).